My first attempt at blogging didn’t go great. But after the whole etsy shop experiment, I decided to give it another go. 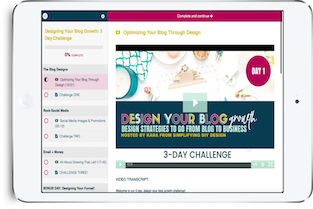 I did two major things different: I started writing posts that solved a problem and I also learned everything I could about Pinterest. 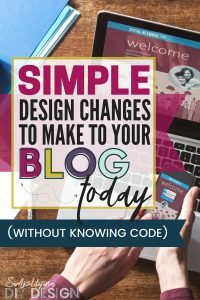 I went from 0-20k pageviews in just 3 months, I couldn’t believe it! I look back at those posts and I still feel like they aren’t even that great. Now, I’m not saying you don’t need great content. You do! Great content is what will turn readers into subscribers. BUT, you need them to get on your site to see how great your stuff really is. And that’s where most people struggle. Traffic. It’s probably what every blogger stresses and agonizes over. A vanity metric at best but still important. Without traffic, you don’t get those high paying ad networks. Without traffic, you struggle to find sponsored post opportunities. And while I hate to send you to a social media platform you have no control over- it really is your best yes. Pinterest is, by far, the best use of your time. Especially if you are a new blogger. Once you get Pinterest going, it’s pretty easy to maintain- especially if you rock Boardbooster. However, I see bloggers all the time struggling with Pinterest. They claim it isn’t working for them and that they aren’t getting any traffic from it. Well, two things. one; they aren’t utilizing group boards and two; their images are not working. 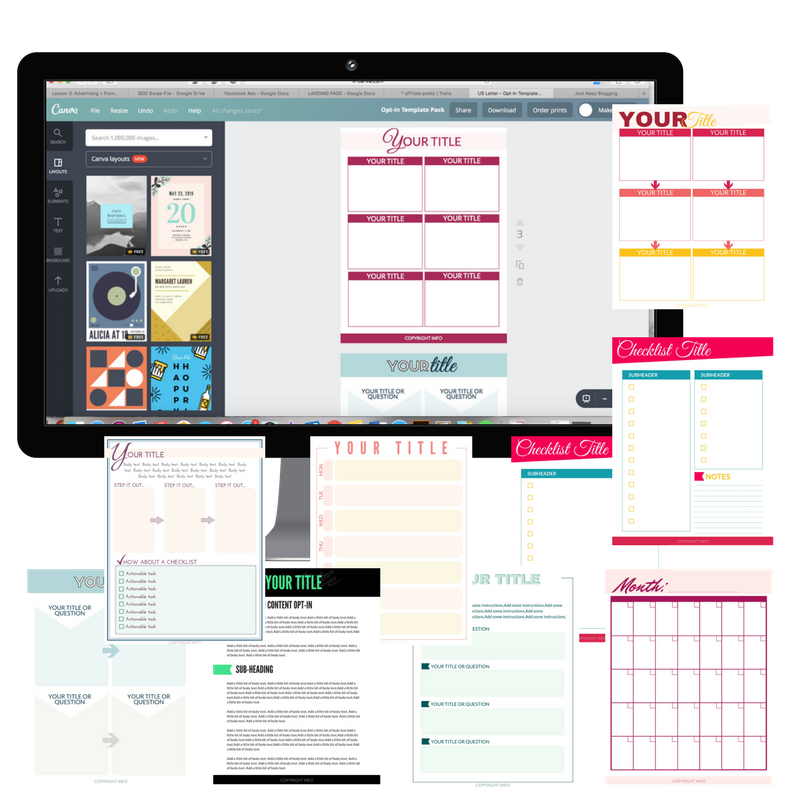 And BTW; I have social media templates available just for you to make your life a little easier! For now, though, let’s talk about images and designing them without programs like Adobe. I think the thing that confuses people most is that all the platforms want different things. BIG words (Size! No need to break out the thesaurus) and catchy titles work better on Pinterest whereas plain images with little or no text perform better on Facebook. For the purpose of this article, I’ll go over the key elements for Pinterest, Facebook, and Instagram. Stuff your alt tag (pin description) with keywords (but make sure it makes sense!) and make it sound like it’s coming from a reader, not you. 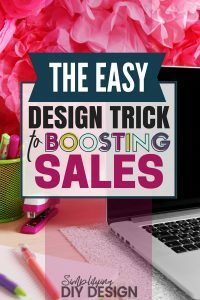 Wow– not only did this trick help me increase click-through rates but my conversions are through the roof! AND I’m gaining trust and nurturing my list! Laziness made me put this off for awhile but now I’ll never turn back! Instagram really depends on how much time you want to waste.. *ahem* spend on it. Instagram is a great place to get a little personal and show “behind the scenes” stuff. I like to post pictures of my kiddos and inspirational quotes. But if you are going to sit there and try to plan your grid so the pictures in your feed make a bigger picture or form a pattern with color then wow, you have a lot more time than I do. I’ll leave that up to the Instagram influencers because, well, that’s their job. Really all you need is a cute picture you take with your phone. I like to use Insta stories but overall I find Instagram not very great for actually getting people to my website. 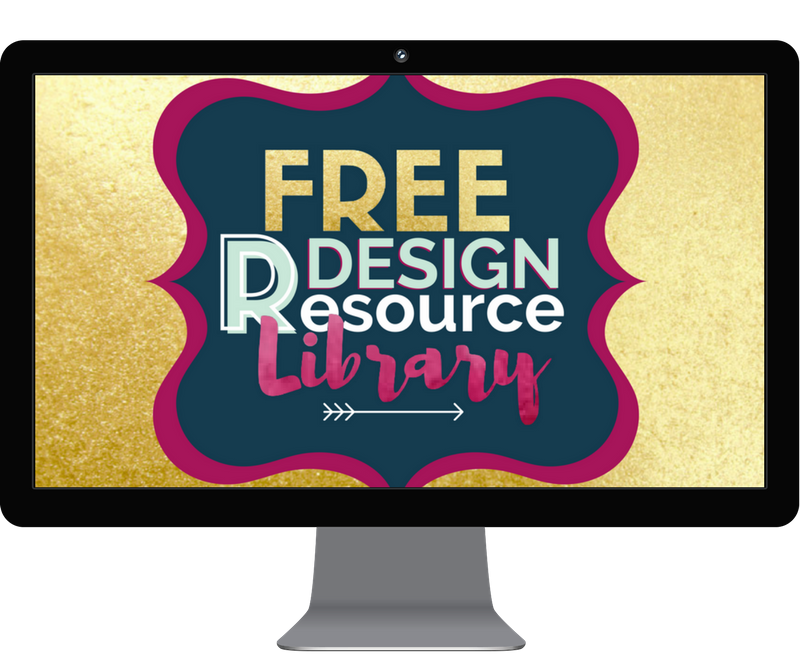 I do have some templates in our design resource library. Also, if you want to upload pictures from your computer I highly suggest Flume, which is part of Setapp (a huge bundle of apps for Macs). You can also try Later.com, Planoly.com, or follow this tutorial. Templates are pretty easy to use but there’re a few things you should know when you first start using them. When using a template made for Canva, BE SURE TO MAKE A COPY FIRST. If you don’t make a copy of the original template and start personalizing it, everyone else that uses the link to that template will see your personal information. After you have made a copy, you can start editing. Change fonts, colors, design elements or pictures to match your brand. Don’t forget to add your logo. All social media images should have a logo watermark so people know where they came from! You can find free templates in our design resource library, including templates for social media images (you can get access at the end of this post). 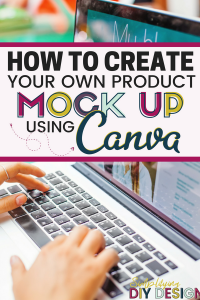 You can also buy templates on places like Creative Market for a reasonable price, however, be sure to note if the product is editable in Canva or Adobe products. 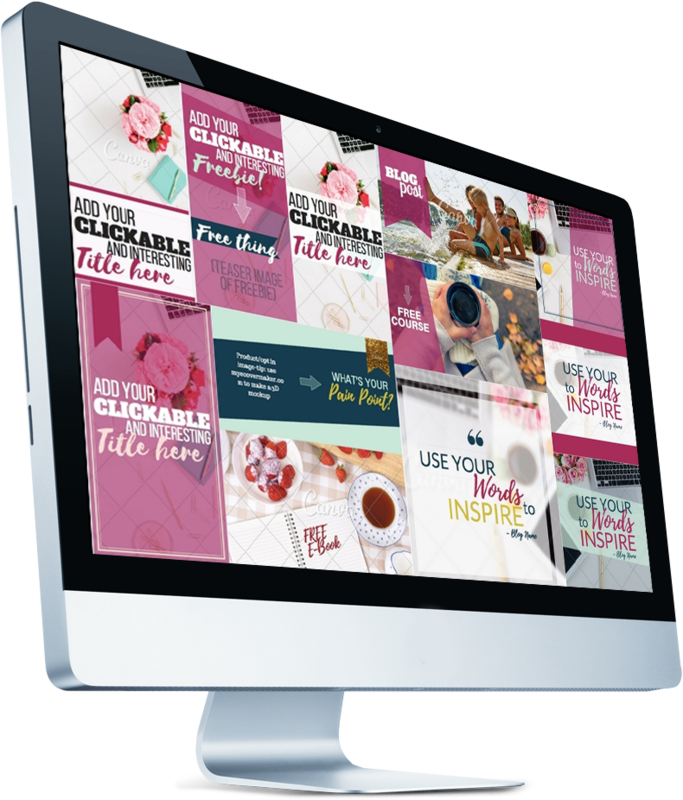 Want to design your own pins in Canva? 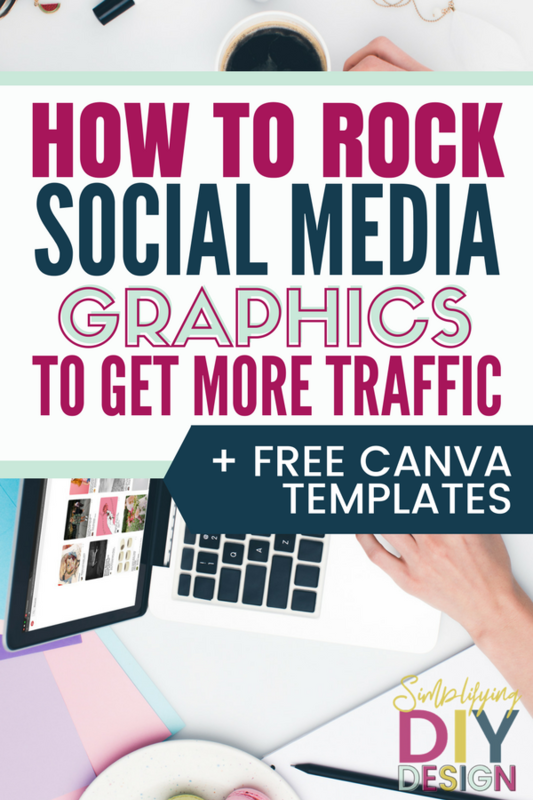 Check out our post on how to rock the basics of Canva for your blog! Again, Pinterest is your best use of time right now. 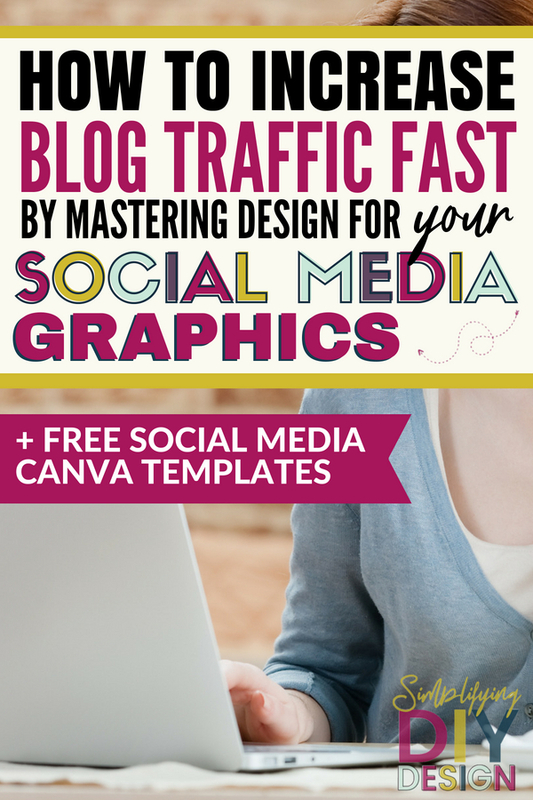 Once you have amazing, jump off the page, Pinterest-pretty graphics, then start working on strategy. Join group boards and set up Boardbooster. 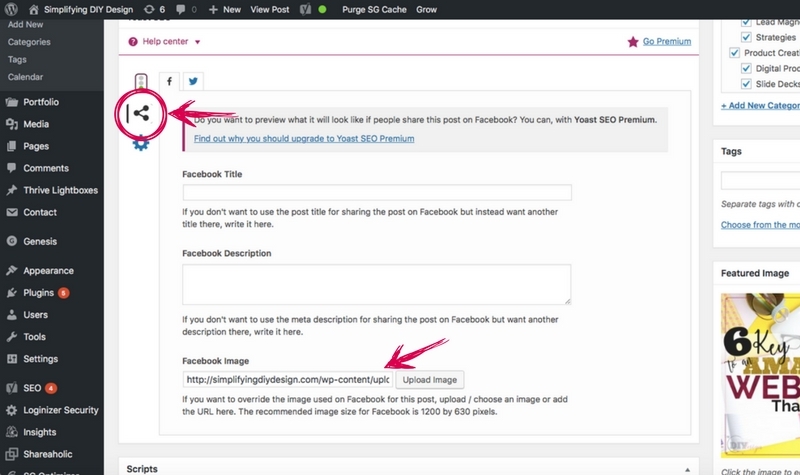 You can use tools like Publicize in Jetpack to auto-post new blog posts to social media and Recurpost to automate Facebook. Once you’ve mastered Pinterest, move on to a different platform. 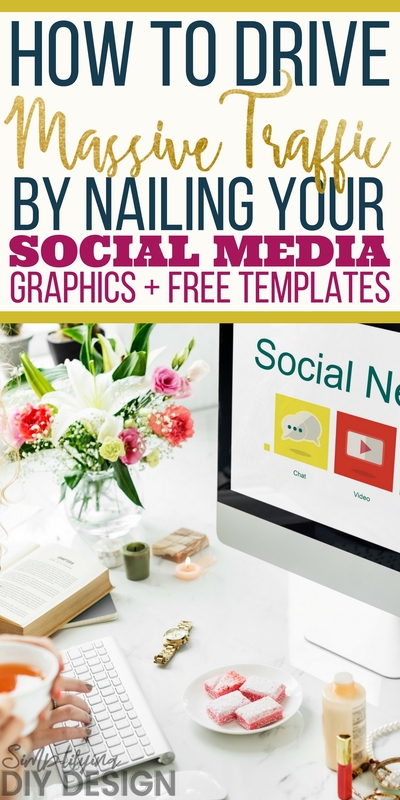 We have a totally-free editable template pack to help you design your social media graphics in our design library. Just fill out the form below to get access! Thank you for this helpful post Kara! We REALLY tend to “judge the book by it’s cover”, don’t we! Even if we create useful content, we risk people not even clicking through if it’s “cover” design is awesome and consistent!